A committee of eminent experts on Sikh religion formed by the Akal Takht Jathedar, Giani Joginder Singh Vedanti, has given a clean chit to controversial film “Jo Bole So Nihal” even as the outrage against the movie continues, with some organisations determined not to allow its screening at any cost. The committee has instead praised the movie. The Deputy Chief Minister, Mrs Rajinder Kaur Bhattal, says that the committee headed by her with regard to school education has nothing to do with the privatisation of government schools. Obviously, Mrs Bhattal has taken a line different from that of the Chief Minister and the Finance Minister, who have been talking about public-private participation to run those government schools which are not doing well. Illegal mining is continuing along the national highway despite the District Magistrate banning it under Section 144 of the CrPC. The worst-affected area was along the Pathankot-Mukerian road where the road was threatened due to illegal mining. Illegal mining was being carried out just about 5m from the highway. Unscrupulous manufacturers have been using excessive quantities of urea, an unsafe chemical substance for animal as well as human health, in cattle feed to induce a high yield of milk. The nature-loving and worshipping Bishnoi community settled in millions in the Abohar-Fazilka, Ganganagar-Bikaner and Sirsa-Fatehbad belt, has been hurt deeply by the Punjab Government’s decision to go in for the limited killing of blue bulls, the estimated population of which is 10,312 in the state. Thousands of residents of Kanjali and Kokalpur villages are forced to drink contaminated water as the underground water in the area is contaminated till the depth of 250 feet and the Public Health Department has allegedly failed to release potable water even after the completion of the Rs 28.55 lakh project about four months. With ground water level receding every year, farmers belonging to the Malwa belt are flouting the ban imposed on the digging of wells beyond certain limit resulting in more than a dozen deaths till date. Different jails in the state are in bad shape as the number of inmates in them have been increasing on one hand and the strength of guards have been going down drastically on the other. Two cases of suspected meningitis were reported from this region even as the District Health Authorities made frantic efforts to control the spread of the dreaded disease. Mr S. K. Ahluwalia, Deputy Commissioner, while presiding over the monthly meeting of the district officials here today directed all Executive Officers of the Municipal Councils, revenue officials and development officers to work in coordination with each other so that encroachments on government land could be removed. He urged officials of departments to send the pending recovery cases of their departments to the revenue officials concerned. An agitated mob today came in the way of the administration taking possession of land for the construction of Abohar-Fazilka rail link here. Residents of the seed farm colony forced the police to return and removed concrete pillars put up by the authorities, sources said. Seema Singla (41), a physical education teacher in Government High School, Ballian village, near here, was killed when her scooter and a military vehicle collided at Nankiana Sahib Chowk here today. All India Radio, Patiala, will broadcast a phone-in programme on May 12 on the topic ‘Illegal Immigration and its Bad Effects’. Produced and anchored by Mr Karanveer Karan, it will be aired from 5 pm to 6 pm. Prominent among the participants will be the Deputy High Commissioner of Canada, Mr Brian Dickson, Regional Passport Officer, Chandigarh, Mr Arvind Kumar Sharma, and the Patiala SSP, Mr A.S. Rai. Fifteen persons injured when the bus they were boarding overturned near here on the Amritsar road today morning. A local court today adjourned a case filed by the Shiromani Akali Dal (SAD) president, Mr Parkash Singh Badal, against the Punjab Chief Minister, Capt Amarinder Singh, to August 30. Unidentified armed robbers struck at Dera Baba Tilkara in Balahar Binjhu village last night and decamped with goods and cash worth thousands. 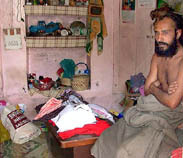 Sources said the robbers manhandled the dera chief, Shukar Mani, and other sewadars. A 32-year-old woman was brutally murdered allegedly by a Bihari migrant this afternoon following a dispute over the payment of dues. A resident of Saheed Bhagat Singh Nagar, Shiv Kumari was reportedly stabbed to death by the accused Karan, who was working as servant at a local gaushala. Later the accused also stabbed himself and was admitted to the PGI. Balbir Kaur, a local resident and mother of a son, was allegedly murdered by her husband, Sukhdial Singh alias Sukha, late last night. The accused, who managed to flee after committing the crime, was arrested by the police today. In a new turn to the investigation in a double-murder case of Pathankot, allegations have been levelled against a woman constable posted at Pathankot. Highly placed sources told The Tribune that the accused in the murder case had revealed during the investigation that a woman constable, Ms Madhu Bala, gave them (accused) information about the movements of the police. This helped them in escaping the police net for over two months. One person was killed and six others sustained injuries when a Delhi Transport Corporation bus rammed to a stationary truck on the GT Road at Shambhoo village near here, early this morning. A man, who killed his father suspecting his illicit relations with his wife, has been arrested. Surprisingly, the accused himself gave the statement and got a murder case registered, mentioning theft as the motive behind his father’s murder. A youth accused in the ATM racket pertaining to ICICI Bank in which Rs 15 lakh was found deficit surrendered in the court here today. A flying squad of the Food and Civil Supplies Department has detected an unauthorised petrol station being run at Sidhwan village on the Bhikhiwind-Khalra road in this border area. The Vigilance Bureau arrested a steno in the SDM office, Bholath, on the charges of demanding and accepting bribe of Rs 500 today. The Forum for Educational Action and Reform (FEAR) today urged the Governor of Punjab to take cognisance of illegal delegation of powers by Mr S.S. Boparai, Vice-Chancellor, Punjabi University, and direct him (Vice-Chancellor) to undo the illegalities done in the university administration during his tenure. Funding scholarship for its underprivileged students studying in Sainik School Kapurthala, the Bihar Government has sent Rs 2.95 lakh to the school administration. While not even a single student from any government school of Muktsar has featured in the merit list of Class VIII, in some government schools of Mansa 80 to 90 per cent students have failed in the examination. Dr Ranjit Singh Bajwa, professor, Department of School of Punjabi Studies, Guru Nanak Dev University has alleged that the university, Registrar, Dr R.S. Bawa, misbehaved with him. He made a complaint to the Vice-Chancellor, Dr S.P. Singh here today in this regard. Guru Nanak Dev University will hold coaching classes for the PCS (Judicial and Executive) examinations and the subordinate services examination for the candidates of the general and SC/ST categories. Even as Ms Maneka Gandhi, Member Parliament has written a letter to manufacturers of woolen textiles of the city here, urging them to stop using Australian wool until two abuses of Australian sheep - mulesing (live flaying)/ lamb mutilation and live exports, were ended, the Director, India/South East Asia, a Woolmark Company, has convened an emergency meeting here tomorrow to discuss the issue which involved direct and indirect employment to lakhs of people, here. AirTel’s new Chief Executive Officer (CEO) for Punjab, Haryana and Himachal Pradesh Deepak Gulati plans to make the services more customer friendly to further augment the company's customer base in the region. Residents of the town has a reason to smile. Glaxo-Smithkline has decided to adopt the neglected Maharaja Hira Singh Park.